The precocious toddler of the rimfire family, the .17 Hornady Magnum Rimfire (HMR) is a fiery youngster with a reputation for running a little hot under the collar. It is a spicy little number which is well suited for small varmints and does well knocking off prairie dogs, raccoons, and any other little creatures who find themselves in the wrong place doing nefarious things. A side-by-side comparison of 17 HMR ammo (Left), and 22 Magnum ammo (Right). 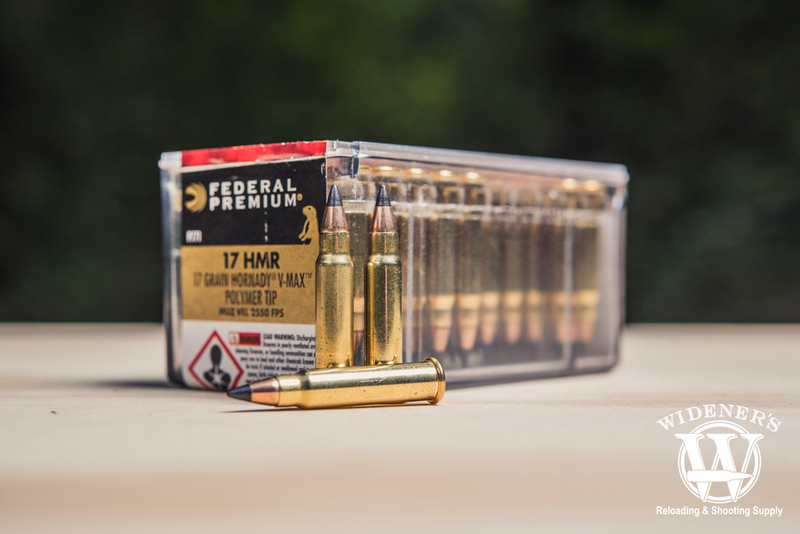 • Is .17 HMR ammo safe to use in semi-automatic weapons? Yes, 17 HMR ammo is safe to fire in a semi-automatic weapon. It should be noted there were some early semi-auto rifle designs that had safety issues when cycling the .17 HMR cartridge. Those rifles were recalled before they made it into mass production in the market. It is widely accepted in the industry that the ammunition is safe to use in semi-automatic weapons. • What is the effective range of a .17 HMR bullet? The effective range of a .17 HMR bullet for small game hunting and target shooting is about 150 yards. At 150 yards the .17 HMR cartridge experiences a bullet drop of about 3″-/+ which allows for consistent accuracy. It is possible with compensation to hit targets at 200 yards with the .17 HMR bullet, however, it experiences a bullet drop of 8″-/+ or greater at 200 yards making it difficult to achieve accuracy. 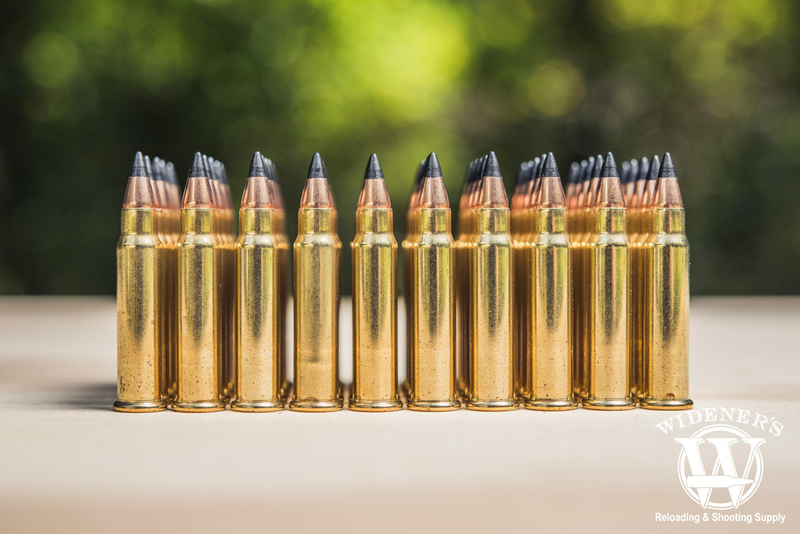 • Is .17 HMR bigger than .22LR ammo? The .17 HMR bullet is larger than the 22LR bullet by .349 inches. The .17 HMR bullet is 29% larger than the 22LR bullet. 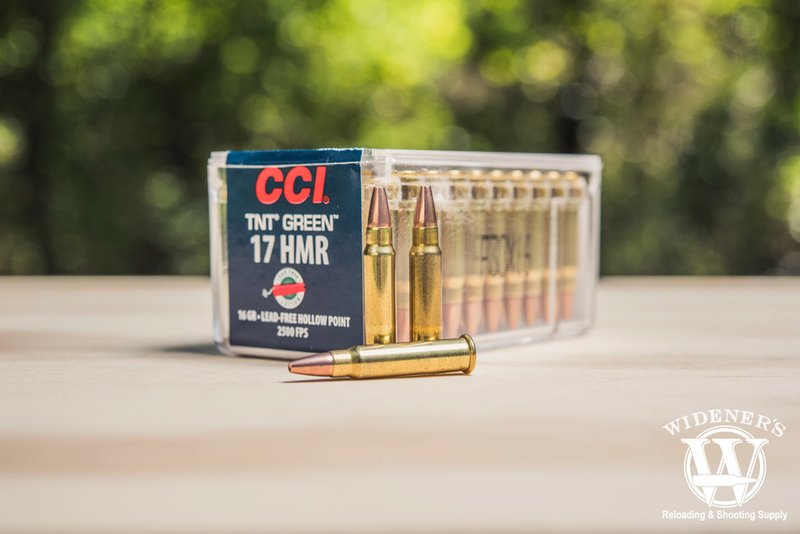 The .17 HMR bullet is a lighter grain weight bullet than the 22LR. While searching for the better mousetrap, Hornady answered the call of shooters who were seeking a high velocity, flat shooting round that can be built into platforms which are already popular and shoot the .22 WMR. The .17 caliber projectile is extremely light, averaging only about 17-20 grains but they pack a real punch, cruising along at blistering paces of 2,300+ ft/s to nearly 2,700 ft/s. More significantly, these diminutive bullets carry a real thump for their size with muzzle energy ranging between 245 ft. lbs. and 250 ft. lbs. Contrary to it’s little cousin, the .22 Short, which is the elder statesman of all metallic case cartridges, the .17 HMR is a rookie. 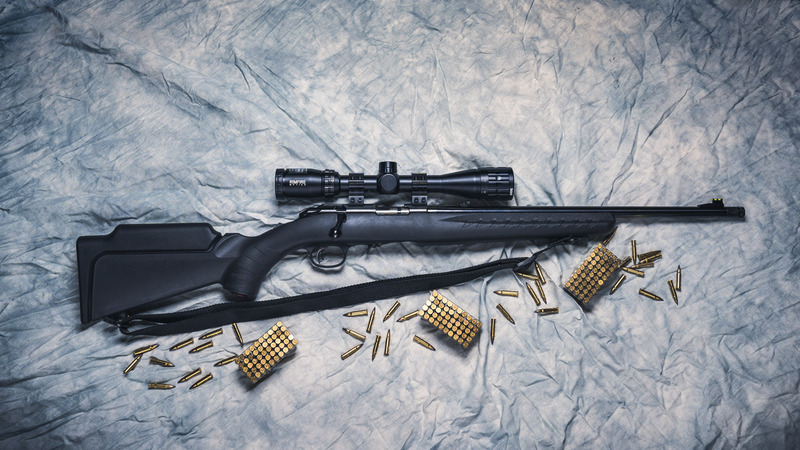 Released to the market in 2002, the .17 HMR was released to tap into the potential of an incredibly fast varmint round which would have better reach than any of the common .22 rimfire calibers and far flatter in trajectory. It also is able to use a regular .22 rimfire sound suppressor, offering a quiet option for taking varmints for considerably lower costs than a suppressed centerfire rifle. The commonality of the .17 HMR with .22 WMR accessories and components is a tremendous virtue of the caliber. Common magazines are shared since they share a parent case, and the firearms are dimensionally identical between the two calibers. One really cool thing about using a .17 caliber bullet is that they are not a heeled bullet, meaning the bullet diameter is less than that of the case. This is in stark contrast to the .22 rimfires which are all heeled bullets. Why does this possibly matter? Well, having a heeled bullet limits just exactly what type and shape of bullet you can use. The .17 HMR is able to use bullet shapes familiar to centerfire shooters which are optimized for excellent ballistic ecoefficiency. 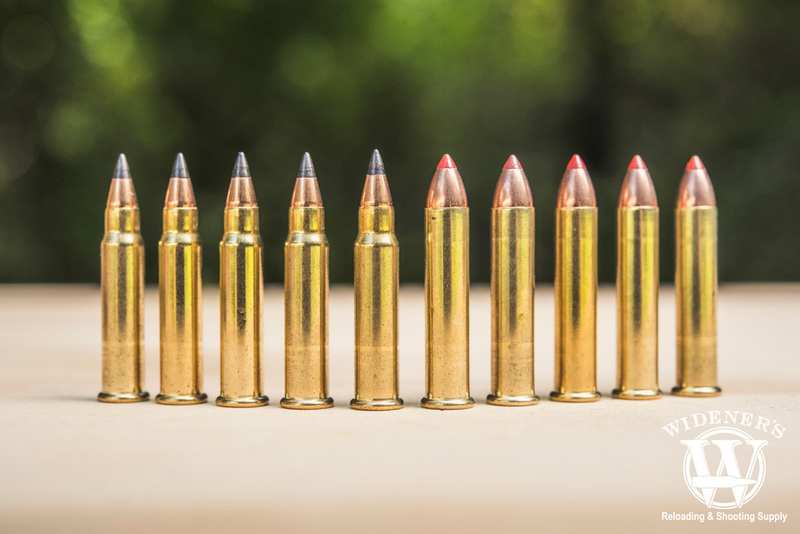 The bullets weigh in between 15- to 25-grains, depending on the type of bullet and intended application. Obviously, the lighter the bullet, the higher the velocity and those little 15-grain bullets are some real screamers, boasting ballistic coefficients of around .115 and velocity of over 2,500 ft/s. Hornady 17 HMR V-Max has earned its reputation as a popular choice with varmint hunters. Hornady V-Max is a serious contender in the bullet spectrum which most everyone will already surmise by the brand. Hornady is a world leader of premium ammunition and V-Max is no exception. Designed to offer the devastating effect of a hollow point with the ballistic coefficient of a FMJ bullet, the V-Max melds both worlds into an excellent projectile. While slightly slower than it’s hyperactive younger brother(s) in the 15-16 grain weight class, a 30 grain V-Max is absolutely no slouch running about 2,200 ft/s at the muzzle with a hammering 322 ft. lbs. of energy! For perspective, 147 grain 9mm FMJ rounds produce 326 ft. lbs. of energy at the muzzle. CCI’s 17 HMR jacketed hollow point is a very effective round for varmint hunting. If the V-Max offers most of the characteristics of the hollow point, why not use it all of the time? Good question. The big part of this equation is that a JHP Is lighter and in the case of .17 HMR ammo, that is a really big deal. V-Max bullets in .17 caliber weigh in close to 30 grains, while a JHP is down around 20 or less. In this small of a bullet, that translates into nearly 200 ft/s in velocity! The great benefit un the un-heeled bullet is that it acts exactly like an un-heeled bullet from any centerfire rifle. Hence, it expands like any centerfire bullet and does so beautifully (unless you are a problematic skunk). 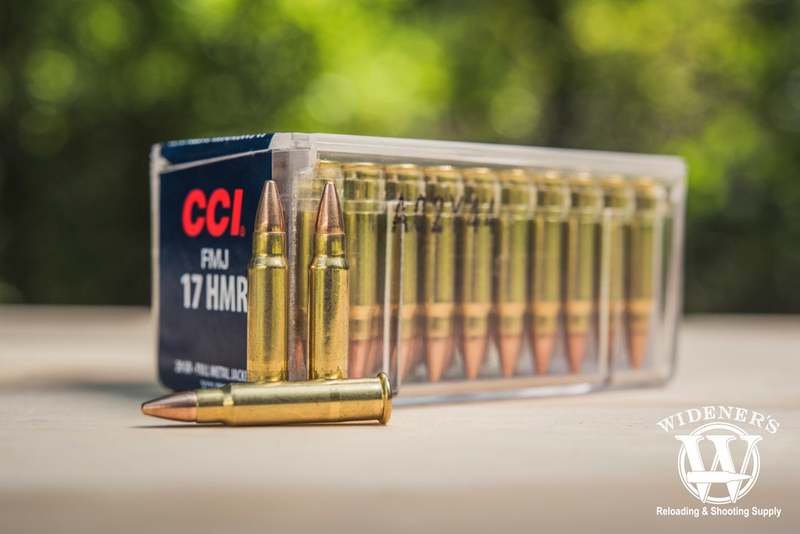 CCI also makes 17 HMR in the classic full metal jacket cartridge. The traditional classic, not too much explanation is required of this stalwart bullet. Lead core, fully jacketed with copper. There is only one on the market so options are somewhat limited in this respect, but it is manufactured by perhaps the most reputable rimfire ammunition manufacturer out there. The FMJ offering looks for all the world like a scaled down .223 and isn’t really a lot slower. It weighs in at 20 grains and exits the barrel at 2,375 ft/s, dropping down incrementally to 2,063 at 50 yards, 1.915 ft/s at 75, and 1,776 ft/s at 100. Energy is 250 ft. Lbs at the muzzle, dropping 189, 163, and 140 respectively. This is going to be your go-to for weapon familiarization and zero, and also serves well to preserve meat in the event that you plan to eat your target or save the pelt. The V-Max and JHPs expand quite radically and will do substantial damage to the target. The .17 HMR was designed to have a superior trajectory to the common rimfires and increased velocity, which it certainly does. This leads to a more accurate round which is less susceptible to wind drift and has suffers from considerably less drop. However, it does have limitations due to simple physics; a case that small can only contain so much charge to push it fast for only so far. Intended for a 100 yard zero, the saucy little bullet does its best work under 250 yards, and preferably at 200 or less. Drop at 150 yards is a respectable 3” -/+, and it can drop to nearly 10”-/+ at 200 yards. After that it really start to plummet, dropping to 22”-/+ at 250 yards, then -41”-/+ at 300 yards. Remember, this is still a diminutive little rimfire which packs a lot of punch for what it is and at closer ranges. It packs a real thump on small animals at 100 yards or less, but if you need more than that you should probably consider one of the very capable centerfire calibers. Based on the still popular .22 WMR case and necked down to accommodate a non-heeled .17 caliber projectile, the .17 HMR is considerably larger than the .22 LR. Of course, these two aren’t really competing for quite the same missions; it would be like comparing a Cavalier and a Corvette, two distinctly different vehicles to do different things. One is economical, the other is a hot rod. A bolt action is the most common platform for the .17 HMR with excellent offerings from several world-renowned manufacturers. That being said, Savage does offer a semi-automatic rifle in .17 HMR, the A17 of which there are a number of sub-models. If you really want to stand out in a crowd, there are even single-action Colt SAA replicas available by Chiappa in .17 HMR (I can only imagine how loud these are so PLEASE put your ears on). What Is The Best .17 HMR Ammunition? If you are in the market for a dedicated, highly-accurate varmint caliber and would like to stay with a rimfire cartridge, .17 HMR ammo is an excellent choice for anything under 50 pounds. It shoots very flat out to around 200 yards and packs a real punch in the process. It is available in the same type of non-heeled bullets as it’s much larger centerfire cousins such as the V-Max, jacketed hollow points, and full metal jackets. With a tremendous ballistic coefficient of only about .115, it shoots flat and straight, largely unaffected by wind drift as long as it is used inside of its comfort zone of 150 yards or less. While it is somewhat costlier than .22 LR and .22 WMR, it does what they cannot do and is still considerably less expensive than slightly larger centerfires, and the rifles themselves are quite a lot less expensive.